You are here: Home / The Scoop: Nowhere But Up? Greetings my fellow duelists! I'm glad you're back here with me after one of the busiest months I've ever seen in my life! I'd like to extend a congratulations to Jeff Jones for winning ARGCS Indianapolis with Yang Zing! Quite the performance, Jeff! 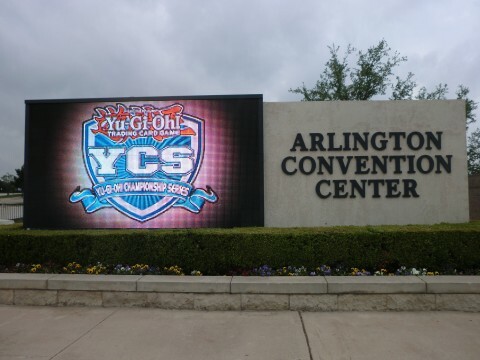 We're on the road to what looks to be an Ebola-free YCS Dallas, and things have shaken up quite a bit in terms of the game. A couple of additions to the card pool, plus some exciting announcements are all headlining in players minds as they prepare to dethrone Billy Brake as the YCS Dallas champion! But in terms of the recent news given by Konami, where does it place the game? Is it on the rise? Maybe still on that steady sloping decline we had seen for the longest time? Let's discuss it. One of the most radical changes in the way that booster products are sold was announced recently. From the next set forward, there will be a foil card in EVERY pack in addition to the rare that you'd normally get. They decreased the common count per pack by 1, down to 7 commons, 1 rare, and one foil card per pack. That's pretty exciting for the players that tend to buy from the primary market, meaning purchasing packs and hoping to get the card that they wanted! Will this turn booster sales upwards? One would have to believe so, as there's much more incentive to purchase boosters, especially ones with high card quality. The other major change that they're making to booster packs is that they are removing Ghost rares and Ultimate rares from core sets and doubling the insert rate of Ultra Rares to 1-in-12 packs as opposed to previously 1-in-6 packs. In addition, they're basically doubling the insert rate of Secret rares to approximately two per box. How exciting is that? I believe it's a great way to push, what must be, declining sales on their part. It takes away the "Living on a Prayer" mentality of pulling a foil from a pack and turns it into the dream of pulling the "good" foils. Hopefully they don't upset anyone with the decrease in the number of commons per pack, although I'm more than certain that SOMEONE will make an uproar about it. This new booster pack orientation is to be debuted with High-Speed Riders, a 60 card set featuring some brand new cards and some fantastic reprints. That comes with a bit of backlash, as the set releases on October 2nd, which gives players about half a day from the release to pick up the cards that they need if they would like to play them for this event. A bit of a nuisance for those that will be on the road all day Friday and unable to procure any necessary cards. What do you guys think of releasing a pack so close to an event and allowing the pack to be legal in said event? Let me know in the comments below! In other news, Chris LeBlanc is under fire again for a normal summon mishap on stream during ARG Indianapolis against Patrick Hoban. It was a play that involved normal summoning twice in one, very long, turn without realizing it. First, a Gem Knight monster, and later on in the turn a "Ju" monster. Chris seemed to be rather ahead in the game, thus leading intelligent minds to believe that the mistake was just that, a mistake. But others are outraged over the continuance of summoning shenanigans. 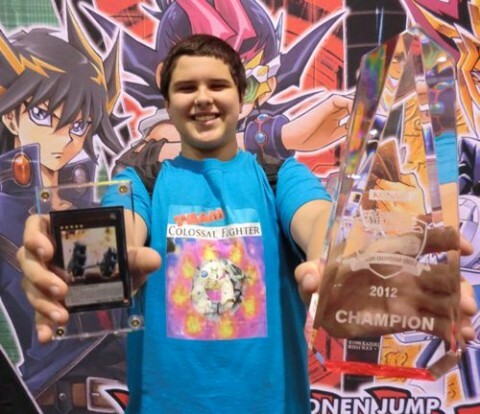 Chris famously used the effect of Madolche Anjelly two times(It's a once per turn effect) on his way to winning YCS Philadelphia last year, prompting his name to be made an adjective in the form of "LeBlanc'd". Patrick Hoban was quoted as saying: "People need to understand there is a lot going on in games and mistakes happen. Chris' extra normal summon wasn't intentional or relevant." We hope and believe it was just that, as Chris is a rather admirable and fantastic player, and in due time this will subside just the same as everything else in this community. Lastly, I would like to leave you guys with a bit of a puzzle! It's a scenario where you're given a certain variety of cards in a sticky situation, and you have to win the game during your current turn. So without further ado, let's play "Win This Turn!" Annndddd that's it for The Scoop for the week ladies and gents! I thank you all once again for checking out my column here! As always, if you have news you'd like to see investigated or people you'd like to see interviewed, drop it in the comments and I'll make my absolute best efforts to bring it all right here to you! Until next time, as long as there is a next time, Play Hard or Go Home!! From the footage it was after the gem-knight had been removed from the field. I may be mistaken but i’m sure patrick got rid of Seraphi before that turn. Niether player picked up on it so, not much we can do. Im almost certain Pat didnt remove the card until the following turn by atking it with Graff. He sumn the 2nd manju after using brillant fusion. Chris used valk eff to draw 2 by sending itself and the 1st manju to grave. I was stunned by the play and replayed it just make sure I was correct. After researching the fusion thats how I notcied he was able to abuse manju this way. I thought the turn in question was when he made Diamond Dire? he summoned garnet and Manju that turn. Least this was when all the fuss happened.